Essentially, litigation is just an alternative way of saying ‘lawsuit’ as the persons who are involved are known as the litigants. It is used for solving controversies and disputes between two parties. Personal injury litigation is when one party sues another after a personal injury occurs. In a broad sense you are requesting the court to decide if the opposing party is to blame for your injuries from an accident of some kind. The end result of personal injury litigation is for damages to be paid by the guilty party. This only occurs if it has been proven that your injuries were the fault of someone else. One very important aspect of litigation in a personal injury case is that it’s covered under civil law. In general, civil lawsuits primarily deal with issues of money and rarely deal with jail time. This is very different than criminal litigation, where a judge and jury are used to try someone who is accused by the government (ex. federal, state, city) of committing a crime. The end result of a guilty party in criminal court is often jail or probation which don’t occur in a civil lawsuit. A lawsuit is often the last step in trying to settle a fair personal injury dispute. A thorough investigation by a legal professional should be taken before you decide to bring a matter of personal injury to court. Additionally, there are other methods such as arbitration or mediation that can used to settle matters before a lawsuit. Arbitration is the act of using an arbitrator or neutral middle party to settle a dispute. Mediation is just another term for basically the same thing, but the mediator is the name given to the one in-between who is tasked at resolving the issue. Depending on the type of personal injury dispute, insurance companies can often get involved in the mix of a lawsuit which often make things more expensive for everyone involved. This is why it’s recommended to get all the information from a professional before you decide how to pursue legal action. That being said, civil litigation is a very effective and powerful method of resolving a number of different types of disputes. http://ryanhiltslaw.com/wp-content/uploads/2017/12/Ligitation-Featured-Photo.jpg 262 343 admin http://ryanhiltslaw.com/wp-content/uploads/2017/02/Oregon-Personal-Injury-Attorney.png admin2017-12-08 16:04:062018-04-02 15:26:16What Does Litigation Mean in a Personal Injury Case? An injury claim is a legal route for an injured plaintiff to receive compensation for someone else’s negligent or intentional acts that cause the plaintiff harm. Personal injury cases come in a variety of situations, although not every case will lead to a liable party. 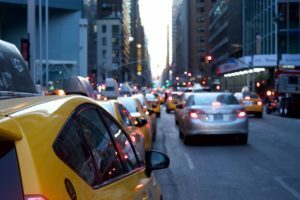 The most common personal injury case are car accident cases, where one party is injured because another party was not respecting the rules of the road. However, less common are medical malpractice cases, where a patient believes the doctor or other health care professional has failed to provide reasonable levels of care. Other accidental injury claims can include slip and fall cases, defamation with libel and slander, or dog bite cases. Injury claims do not have to be accidental damages either, as assault and battery can also lead to a personal injury claim, as one party injures another with intent. While these cases are also criminal cases, the victim can still file a personal injury lawsuit. Write down the details as soon as possible after an accident, memory isn’t infallible, and having concrete documentation of your injury can help substantiate your claim. Be sure to take photographs of your injury and the location if possible. Before engaging in any legal recourse with the parties involved, consider hiring an attorney. Attorneys are trained to navigate the law on your behalf and give you an initial consultation to discuss the merit of your case, outline your legal options, and assist you with properly filing your personal injury claim. 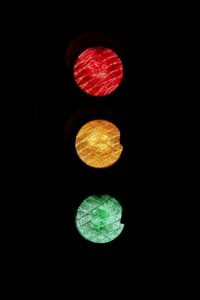 Additionally, it’s important to notify the involved parties that may be responsible for the accident. After determining the parties that might be responsible for your accident, you’ll want to write a letter of notification to said parties. This must be delivered as soon as possible, to ensure they cannot say the claim has unfairly surprised them. Your window of opportunity to file a claim can vary depending on where you live, however most states have a “discovery rule” exception. What this means is that your window of opportunity to file the claim doesn’t start until you, the defendant, realize that you have been injured or what the cause of harm is. Loss of social, family, educational experiences such as training, classes, vacation or special events. Damaged property and personal belongings. While it’s very easy to add the concrete items up, such as medical care and damaged property, there’s no explicit formula for the abstract losses one may suffer. After the insurance adjuster adds up the medical and physical costs, they will figure out how much the injured person is owed for their pain, suffering and other nonmonetary losses. These will typically be called “general” damages. Minor injuries will have smaller multipliers for the general damages, around 1.5 to 2 times the value of the medical and physical damages. However, more severe and long-lasting injuries can get a multiplier of up to 5 times. When the injury is incredibly extreme, this multiplier can be as great as 10 times the medical and physical damages. Then the adjuster will estimate how much the other party is as fault, as a percentage. The rough estimate of your comparative fault is the amount by with the damages will be reduced. For example, if you were partly to blame for the accident due to your own personal negligence, the claim value would be reduced by 10 to 15 percent. http://ryanhiltslaw.com/wp-content/uploads/2017/12/What-is-an-Injury-Claim-Featured-Photo.jpg 262 343 admin http://ryanhiltslaw.com/wp-content/uploads/2017/02/Oregon-Personal-Injury-Attorney.png admin2017-12-04 00:16:552018-04-02 15:27:40What is an Injury Claim? Personal injury laws differ depending on which state you’re in, but Oregon has quite a few in place that can protect anyone who has been injured. The process of what you should do varies depending on the specific situation. Additionally, the amount and type of damages or compensation that a victim can hope to receive can change based on the circumstances. Here you are provided a basic overview of some of the main personal injury laws and statutory rules in Oregon. However, I highly recommend getting in touch with a personal injury attorney if you or someone you care about has been injured. Having a strong legal strategy can be critical to getting what you deserve. If you sustain any injury, it’s important to know that the first thing you should do is seek medical attention. It’s wise to contact a personal injury attorney as soon as possible, but this is always a secondary priority to making sure that you’re physically safe. As with many legal issues, there is a statute of limitations relating to personal injury cases. In the state of Oregon, it is usually two years. However, there are many exceptions to that time limit. For example, any claim against the government has a far shorter time limit, but a wrongful death case may be over two years. No matter what has happened in your specific situation, it’s best to contact an attorney as soon as possible. It’s generally better to file your claim as soon as possible, and waiting until the last minute can be hard to gather information necessary for a successful case. The amount and type of damages that victims could potentially receive depends on many different factors. But, they can basically be described as fitting into two categories: economic and noneconomic. Economic damages are to replace money that you lost or had to pay because of an injury, and this includes lost wages, medical bills, estimates of future monetary losses, and other similar things. Non-economic damages are types of injuries that cannot be measured as easily, such as emotional distress. It is important to know that the laws in the state of Oregon have established an upper limit on certain forms of payment. In most cases, there is no limit on how high the economic damages could be, and this is because they are often based on numbers that are easy to prove. On the other hand, there are certain non-economic damages that do have limits. Since this isn’t very straightforward, it’s best to talk to a legal expert to find out about your case. There is good news and bad news about filing a claim against the government or a governmental employee. The good news is that they aren’t exempt from personal injury laws, so they can be held accountable for any injuries they had a part in causing. However, it can be tricky because they have some different rules. For example, they don’t follow the same amount of time as the standard statute of limitations, so you often are required to file a claim much earlier than you would against a private citizen or company. The laws of Oregon make it clear that blame for an injury can be shared between different parties involved. In other words, if you receive an injury because of the actions of another person or business, but you had some amount of responsibility for it, you can be held partially responsible. As long as the injured person is only responsible for a small percentage of the blame, this will most likely only have an influence on the amount of damages paid. However, too much responsibility can cause the injured party to receive no damages at all. If you’re not sure if you’re responsible for any of the blame in a personal injury case, your best course of action is to consult a lawyer. The other side will likely use this argument against you, and it has the potential to lower the amount of compensation you could receive. Remember that much of this information relates to the requirements a court will enforce when handling a lawsuit about a personal injury. However, these cases don’t always have to go so far. There are many times when they can be solved outside of court, and this can often be much easier for everyone involved. It’s a good idea to explore your options before officially filing with the court. While it’s beneficial to know the basic ideas of the laws that will protect you if you are injured, you shouldn’t overlook the assistance you could gain from a personal injury attorney. The knowledge and experience gained from helping others through similar situations can be invaluable in helping you get what you deserve in such an unfortunate situation. ce that can protect anyone who has been injured. The process of what you should do varies depending on the specific situation. Additionally, the amount and type of damages or compensation that a victim can hope to receive can change based on the circumstances. If you find yourself in need of a personal injury attorney, it’s quite possible that you’re going through one of the most difficult times of your life. This whole process can be made better by having a great lawyer on your side, but the wrong person can make it even more challenging. Since you’ve likely never experienced this before, try making use of these 10 important questions for your personal injury attorney. Before choosing a personal injury attorney to represent you, it’s best to have a consultation to get more information. Doing this in a certain way will help you achieve better results, so try to focus on two major factors. First, is this the best attorney for you? As lawyers have different areas of expertise, they aren’t all the best choice to help in any situation. You should find one who’s knowledgeable and experienced in a way that meets your needs. Also, it’s important that you trust and feel comfortable with this person, so you should evaluate that before starting to work together. The second major area you need to learn about is how to proceed in your specific circumstances. Many factors can change a personal injury situation, so you should try to get an overall idea of what it’s going to be like in your case. Don’t expect a detailed strategy immediately, but make sure the lawyer can give you the basics of what you should expect, as well as provide you with a list your options. 1. Can you tell me about your history as a personal injury attorney? Find out how many years they’ve been practicing. Also, learn about what kind of cases they generally handle, and ask about their success rates. 2. How often do you handle cases like mine? Personal injury attorneys deal with a wide variety of situations, and some of them can be quite different. It’s best if you choose someone who has experience in cases that are similar to yours. 3. How many attorneys are in your firm, and who would I be working with? Some firms have only one attorney, and others have many. However, even in small firms, there may be other staff members helping you with various parts of the process. To make sure you’re comfortable and know what to expect, you should ask who you will be interacting with. Also, it’s not unreasonable to ask to meet these people. 4. How does your payment structure work? Different law firms have various ways of making their fees and collecting payments. It’s wise to find out exactly how this works from the start, and then decide if this is a good decision for you financially. Find out when you will need to pay fees, who will cover expenses throughout the process, if the attorney works for a contingency fee (only collecting money if you are awarded some), and if there is anything else you’ll be expected to pay. 5. Can you provide me with some references of past clients? Attorneys with more years of experience will obviously have a larger number of satisfied clients, but even younger lawyers should have a few clients who are willing to tell you about their experiences with them. It’s always better to have an outside opinion. 6. What is the strategy you suggest I follow? Don’t spend all of your time just asking about the lawyer, after all, this is about you! If the attorney is ready to handle your case, they should be able to explain a basic strategy and the overall steps involved. 7. What are my chances of success, and can I do anything to change that? You should find out how likely you are to be successful, and learn about how that will be measured. Also, you can sometimes take certain actions that will increase your chances, but the options for these decrease as time goes by. 8. What is the timeline for my situation? Make sure you understand the timelines for a few different things. First, are there any deadlines? Many situations have only a limited amount of time in which your claim can be handled, so you need to find out if this will affect you. Next, it’s good to get an estimate of how long it will be before you could expect any payout (if successful). This can be extremely difficult to determine, but hearing a very rough estimate can prevent you from being upset that you didn’t receive anything until much later than you expected. 9. Will you try to go to trial, or would you rather settle this out of court? There are pros and cons of going to a trial, but this most often influences the amount of the payment you could receive, the time before you’ll receive it, and the chances of success that you have. Some attorneys like to favor one strategy over the other, so find out if this is the case, and decide if you agree on that. 10. How involved will I be? Attorneys all have different styles. Some believe they are providing an expert service and you should trust everything they say, while others believe your relationship is more of a partnership and they will make joint decisions. Find out what this attorney believes, and then decide if you’re comfortable with that. Even though you’re going through such a tough situation, make sure you don’t rush your decision. Ask these questions (and any others you have), and do some other research about the attorney. Overall, trust your instincts. If you choose a lawyer who makes you feel comfortable, the whole process will be much easier. Is a Prosthetic Property Damage or Personal Injury? The law is constantly changing and evolving, and it never seems to be short of interesting challenges to the way things currently are. As technology has caused us to become reliant on devices that help us go about our lives, we’ve had to reexamine the differences between personal injury and property damage. However, the legal system has started to make it clear that a small gadget isn’t necessarily more important just because it is loved, expensive, and useful. On the other hand, some items meet those requirements, but in a much more extreme way than smartphones or tablets. In this case, I’m specifically talking about prosthetic limbs. New advances have skyrocketed what they can do compared to the capabilities of the past, but does that change how they’re viewed in the eyes of the law? First and foremost, it should be mentioned that this can be a very sensitive topic for someone living with prosthetics. For anyone who hasn’t experienced this, it may seem like a relatively minor issue, but that’s simply not the case. Even though it only involves a small percentage of the population, it’s an extremely important issue that we, as a society, cannot afford to ignore. This has become an issue recently because of advances in technology. It wasn’t so long ago that prosthetic limbs were fairly simple, but they are already capable of doing things that weren’t even in the imagination of many just a few years ago. Advances in 3D printing and other technologies make them able to be manufactured in any shape necessary, robotics are able to move highly functional limbs, and there are even medical procedures that can redirect nerves in a way that allow patients to control prosthetics with their minds. The field is making great steps toward helping people with prosthetics eliminate the unnecessary challenges in their lives. Our modern advances in technology have made prosthetic limbs more than just a piece of equipment to those who have them. Since wearers can really become connected to them and feel like they’re a true part of their body, they develop psychological attachments to a level we didn’t see in the past. Many other accessories may seem like they’re always nearby, but a prosthetic limb can be viewed as literally always being there from a psychological point of view. It can potentially grow to the point where the body can’t tell the difference between a natural limb and one which is prosthetic. Property damage can take many different forms and definitions, so you should always consult an attorney to get expert advice. However, property damage is generally when one person damages the property of another, and it can happen if they did it willfully, were negligent, or various other situations. Again, personal injury can be different depending on the situation, so seek the advice of a legal expert before determining your case. However, it generally is any situation where a person receives an injury because of the actions of another. To give an example of how property damage and personal injury can be similar, but still two separate things, imagine a situation in which someone gets their leg broken as a result of the actions of another individual. If this is a natural leg, it’s possible that the law could view it as assault, or something similar. This is a serious crime that usually includes quite severe penalties, and these risks change the way people act when endangering others. On the other hand, if it’s a prosthetic leg, it could be simply viewed as property damage. This is generally a far less serious offense, so the penalties for it are not as harsh. Again, this has potential to influence the safety of people with prosthetics when put into risky situations. If you have a prosthetic limb, the most important thing you can do is be aware of the possibilities in your legal situation. Know that if you are injured and you don’t try to treat as personal injury, it’s unlikely that the other party will. It’s extremely wise to get legal assistance from an attorney who is knowledgeable in this area and will be sensitive to your needs. Any benefits you will receive, monetary or otherwise, will depend on handling your case the correct way. The law is often a complicated challenge of trying to mix ethical issues with overall fairness towards society. However, sometimes it requires you to have someone on your side who understands your personal challenges and can help you fight for what you deserve. If you have a prosthetic limb and are concerned that it’s only being treated as a piece of property, then please reach out to me. You already have a personal injury attorney who would like to help. http://ryanhiltslaw.com/wp-content/uploads/2017/10/Property-Damage-or-Personal-Injury.jpg 262 343 admin http://ryanhiltslaw.com/wp-content/uploads/2017/02/Oregon-Personal-Injury-Attorney.png admin2017-10-30 18:50:292017-10-27 19:52:35Is a Prosthetic Property Damage or Personal Injury? What to do if you get into a car accident in Oregon? Being involved in a car accident is something that we all hope to avoid, but it can, unfortunately, happen to anyone. To be on the safe side, it’s best to be prepared in case you find yourself in such a bad situation. Do you know what to do if you get into a car accident in Oregon? Follow these pieces of advice, and you’ll be much better off. The first thing you should always do, no matter how serious the accident is, is to not panic. You or the people you care about could be injured, and you’ll need to be thinking clearly to help. Even without injuries, minor mistakes can cost a lot of money or legal trouble down the road. This one is fairly obvious, but driving away from an accident is one of the worst things you can do. No matter how severe the accident or who’s to blame, you have to stop and assess the damage with anyone else involved. You can get into serious trouble if you don’t follow the appropriate procedures. Checking on the health of everyone is the first action you should take after a car accident. If anyone is injured, getting them medical attention is the top priority. In very serious accidents, or those in non-crowded areas, you may not have much choice but to leave your cars where they are. But, if you have a minor accident on a busy road, it’s usually best to move your vehicles to a safe area. If possible, take pictures before moving, but don’t risk your safety by remaining somewhere where other cars may hit you. To help keep yourself safe, you should set up flares, traffic cones, traffic triangles, or any other noticeable objects on the road behind where your cars are. You should plan ahead for this. You can buy these at any automotive shop, and you should keep a selection inside your car to be prepared. At the same time, it’s wise to keep a first aid kid and some emergency clothes in case of inclement weather. You’re required by law to inform the police about any accident you have. Also, it doesn’t matter who you believe is at fault, you should tell them everything with complete accuracy. They’re likely to find out the facts eventually, so any lies you tell could come back to haunt you. It’s also a good idea to record the names and badge numbers of any police officers that are at the scene of the accident. This can sometimes be helpful later on if there are any problems. If you’ve been injured or sustained serious damage to your car, you should absolutely call a lawyer immediately. There are certain actions that need to be taken, and many of them need to be done as soon as possible. Even if it seems relatively minor, it’s a really good idea to consult with a lawyer to make sure you aren’t missing anything. A legal expert will be able to tell you if you are eligible for any benefits, and they’ll be able to prepare for any trouble you might face. Even if the police record the insurance information of the other people involved in the accident, make sure you get it, too. Insurance companies are notorious for trying to get out of paying, and you need to be able to tell them exactly who the other drivers were. Also, make sure that all the documents match. If the registration or insurance of the car doesn’t match the name of the driver, record all of the different names and contact information. Don’t ever rely on others (including the police) to send you photos after the accident. If you need to prove the truth about what happened, it’s best to take them yourself. As already mentioned, you should be completely honest with the police. But, that doesn’t mean you have to admit to being at fault for anything. It’s natural to want to apologize in a traumatic situation, but there are many cases where you may think you’re the one who caused the accident, and the law doesn’t. Tell what happened, but don’t ever say you were responsible for the crash. Witnesses can be incredibly valuable after a car accident. They are normally unbiased, and they had a different view than anyone involved in the wreck. Record the names and contact details of anyone who saw what happened. If you have any pain or injuries, immediately seek medical attention. But, you may have suffered some form of injury even if you don’t feel it. Many issues take time before you’ll notice the symptoms, so it’s best to go get checked by a doctor as soon as possible after the accident. This is extraordinarily important because as time goes on, it’s much harder to prove that the accident caused your health problems. It can be tempting to want to get away as soon as you can, but be patient to make sure you do everything necessary before leaving the scene of the accident. No matter how severe, car accidents are traumatic experiences. The good news is that with a quality lawyer, you have a caring expert by your side through the whole process. I’ve helped a ton of people through situations they hoped never to be in, and I understand how hard it is. But, please know that the sooner you contact me, the better legal assistance I can offer you. http://ryanhiltslaw.com/wp-content/uploads/2016/10/reykjavik-1724643_640.jpg 426 640 admin http://ryanhiltslaw.com/wp-content/uploads/2017/02/Oregon-Personal-Injury-Attorney.png admin2016-10-18 18:06:322017-05-30 23:54:50What to do if you get into a car accident in Oregon? The United States offers a ton of natural beauty. From Alaska to Florida there’s a variety of stunning landscapes from mountains, to forests, to beaches. The question of which is the most beautiful state in the country is up for debate and many people claim their state is the best one. While there’s no real way to prove which state is the most naturally beautiful, our (admittedly biased) opinion is that Oregon is like nowhere else in the USA. We are extremely proud of where we work, live, and spend the majority of our time. We’ve scoured Instagram to put together some photos that try and prove our case! We truly believe Oregon is the most beautiful state in the country and here’s our evidence why. Need an Oregon personal injury lawyer? Look no further! Ryan Hilts provides you with professionalism, personal service and experience. Contact Ryan Hilts today or learn more about Ryan Hilts here! Worst City To Drive In: Portland? Portland, Oregon is a great place, and there are a lot of major benefits to living here. Unfortunately, one of the few negative aspects is the quality of drivers in the city. Most people are more than capable behind the wheel, but that still leaves a high number of those who cause trouble for the rest of us. 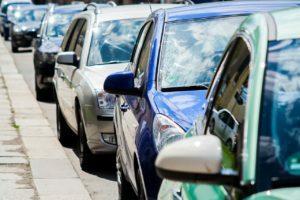 Hopefully this problem isn’t something that will scare you out of the area, but it’s important that you know your options and have help in case you ever find yourself in an accident involving a bad Portland driver. There are a lot of jokes in Portland about it being the worst city in the US to drive in, but a recent study shows that it might not be such a laughing matter. Allstate Insurance released their annual report that tracks the best drivers in 200 cities, and Oregon’s largest city wasn’t very proud of how low it ranked on the list. Portland came in at 181 out of the 200, but that’s close enough to the bottom to make it feel like the worst city in the US to drive in. The only positive news about the ranking is that the city moved up two spaces from last year, but that doesn’t do much to stop the feeling that Portland is the worst city to drive in. The bad news is there isn’t much you can do about other drivers not being skilled enough behind the wheel. You can practice defensive driving, but sometimes there’s no way to avoid a collision if the other driver is making mistakes. Do everything you can to keep yourself safe, and just be aware of what to do if you are involved in an accident. Much of car safety is common sense, and a lot of us learn it at a young age. High on the list in recent years is the reminder to not drive distracted, and especially don’t send text messages when cruising down the road. Also, don’t play music so loud it will become distracting or cause you not to hear emergency sirens and other warning sounds. Make sure to get regular maintenance on your car, and wear your seatbelt at all times. Take extra caution in bad weather, and ask your passengers to help watch out for anything unexpected. Always wear glasses if you need them. Overall, relax but be cautious whenever driving. If you’re involved in a car accident, there are a lot of things to keep in mind. The most important, though, is to remain calm and make sure that no one is seriously injured (call and ambulance immediately if they are!). Next, don’t leave the scene, but move the cars to safety if it’s necessary. 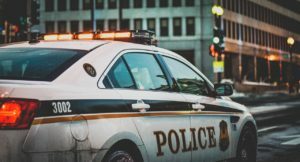 Call the police even if the damage is minor, and know that a police report can really help your chances of proving you weren’t at fault. Collect as much information as you can about the others involved in the accident, and take pictures of the whole scene with your own camera. After it’s done, contact your insurance company and a lawyer. Keep in mind, all of these accidents aren’t limited to drivers. Pedestrians are often injured by cars, and they can get the same assistance and payments from insurance companies. 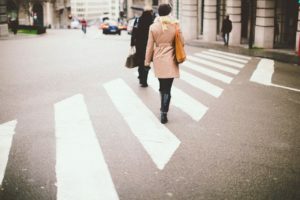 Always be aware of your surroundings while walking, but if you’re hit by a car, follow the same steps as you would if you were in an automobile accident. The purpose of a personal injury lawyer is to represent anyone who has been injured as a result of negligence or wrongdoing by someone else. However, this doesn’t mean that we can only help you with physical injuries. Psychological damage often occurs in certain situations, and it’s really common among victims in car accidents. Personal injury lawyers will be able to fight on your behalf to help get you what you deserve for any of these damages. Don’t be intimidated by the person who caused the accident. It doesn’t matter if they are a normal individual, a company, or some sort of government agency. The law is written in a way to make sure everyone can be held accountable for causing injury to others. If you have been injured as result of one of the famously worst drivers in Portland, please get in touch! Insurance companies professionally deal with these cases on a daily basis, and they’re incredibly skilled at taking advantage of victims by paying out as little money as they possibly can. But, you don’t have to fight this battle alone. The law office of Ryan Hilts has a lot of experience in helping people recover from personal injuries and moving forward with their lives. http://ryanhiltslaw.com/wp-content/uploads/2016/07/Oregon-Personal-Injury-Attorney-8.jpg 270 334 admin http://ryanhiltslaw.com/wp-content/uploads/2017/02/Oregon-Personal-Injury-Attorney.png admin2016-07-29 20:46:572017-05-30 23:56:06Worst City To Drive In: Portland? Recently, the Supreme Court has invalidated the broad liability waivers that are printed on the back of ski lift tickets. This has made the liability/accountability of Oregon ski injury lawsuits a topic of which many are wondering who should be at fault. Injured skiers are arguing that a ski resort can not alienate themselves completely from the liability of injuries that happen while using their facilities. Lauren Bagley, who had a song injured at Mont Chancellor in 2006 supports this idea. Her son was 18 when he fell on a jump and now is paralyzed for life. Since then the ski resort has not be found at fault but this new invalidation of the liability waiver opens new discussion on whether there is some accountability to be had by the ski resort. The argument confronts the idea that man-operated equipment and enhancements to the slope should be under the liability of the ski resort. The argument solidifies the idea that blame is always placed on the skier and never shifted to the large ski facilities. This use to be supported by a 1979 Oregon law declared skiing an inherently risky activity and therefore shields the ski operators for liability in most instances. This law was routinely used to block Oregon ski injury lawsuits filed by skiers and snowboards. The notion was that if you entered into something that was considered a risky activity you should be fully aware you may sustain a serious injury. However, new thoughts support that this has allowed the ski resorts with too much freedom. This lack of liability can promote slopes and operating equipment that may be unsafe for use beyond the typical risky situations. While accidents are always open to occur in such a risky environment it only seems fitting that the ski resorts acquire some responsibility more then a waiver on the back of a ski lift ticket. This new law would allow participants to file solid cases where the ski area was neglected or had created unreasonable conditions that occurred by gross negligence of the staff. With this new law the ski resorts would be forced to legitimize each injury even it was ultimately proved not negligent. While this all may seem like good news for the skiers some are arguing that this will increase ski lift tickets as a results of having to respond to each Oregon ski injury lawsuit. Also Mathew Drake, chairman and chief executive of Mt. Hood Meadsows argues that it will costs jobs, limit to public lands and threaten the stability of the economic state of Oregon as a whole. While we think that Mr. Drake may be a little over dramatic with this new law threatening the entire states economy we can expect that there may be an increase in lift tickets to pay for these Oregon ski injury law suits. If you have a ski injury in Oregon and you believe it is worthy of a law suite please give Ryan Hilts a call today to discuss your potential opportunities.